You can grow fresh herbs at home in your kitchen any time of the year and that isn’t the only benefit of having your own herb garden. Live green plants add freshness to your home style and of course, you can always use some fresh ingredients when cooking. There are few DIY projects that add so much to your home as herb gardens do. 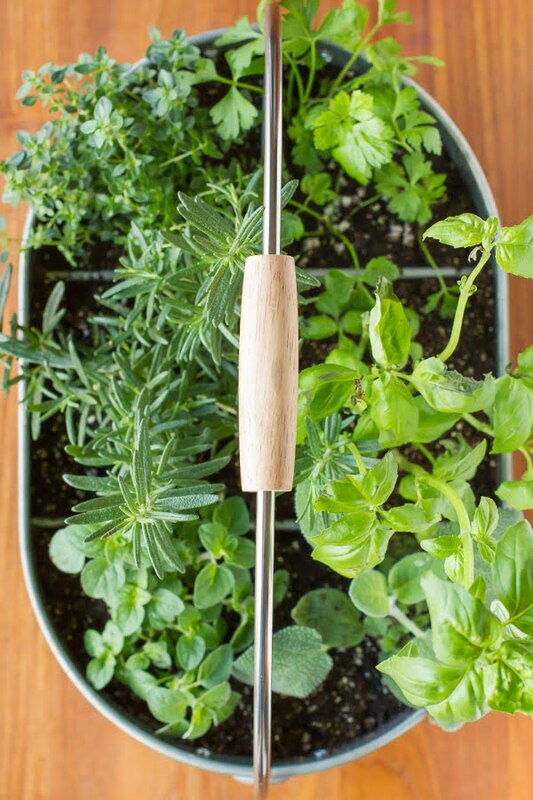 So how do you grow herbs in your kitchen and do it in style? You have many options from cute mason jars, to repurposing materials for that rustic look, and building planters or trellis. Check out these terrific DIY tutorials for indoor herb gardens and build something for yourself. Plastic bottles are great for this DIY project. You can easily cut them to make hanging herb planters and hang them from the ceiling, window, or walls. It’s an easy project and you can find the instructions in this tutorial. Using galvanized buckets for a herb garden is another great idea. Hanging them with rope on a board or a wall is just an easy way to suspend them. The whole project makes a lovely farmhouse style decor piece. Check out the tutorial to see how you can easily do it at home. Sometimes all it takes is using a thing for a purpose different than it was intended. This galvanized utensil bucket happens to fit perfectly for a small, quick and easy herb garden. You can place this portable mini garden anywhere you like too. 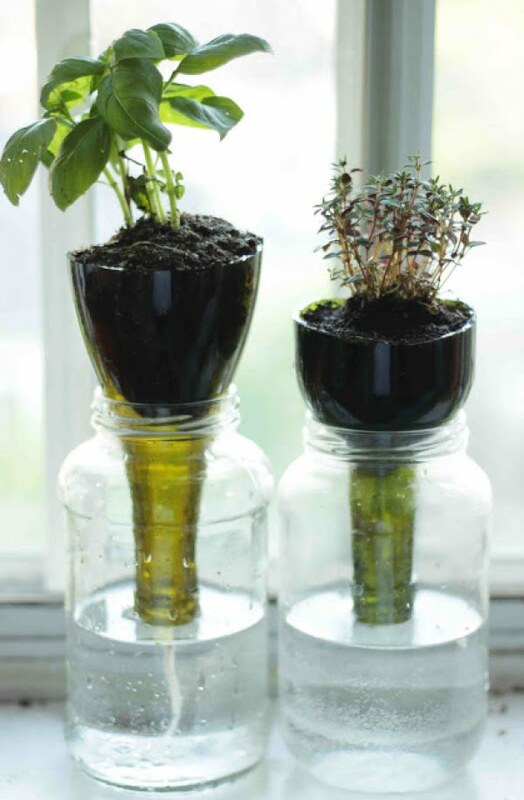 Hanging jars can be used in many ways to grow herbs. One of the more creative ideas is to suspend them from rope in the window. This makes for whimsical decor and a terrific herb garden that enjoys lots of sunshine. Make this DIY project for your kitchen by following the tutorial. Repurposing materials can result in awesome crafts and this is one of those cases. You can get these cool tea tin cans in just about any store and they make great planters for herbs. Even better if you can get vintage cans for some extra chic decor. There’s more than one way to hang planters on the wall for a creative herb garden and this one is quite cool. Macrame knots make an easy and attractive way to hang the planters. 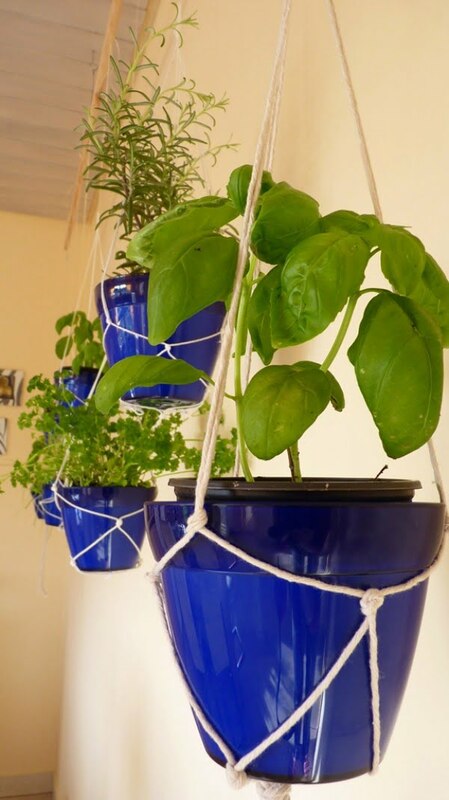 You can hang any houseplants this way and it’s certainly a nice way to create a herb garden. Check out the tutorial on how to do it. If you don’t have lots of room space, you could use a construction like this for your herb garden. You can create this vertical garden from jars and wood and hang it in just about any corner. Check out the tutorial for instructions. If you’re looking for a very simple way to plant your herbs in mason jars, our tutorial will show you how to do it the easiest way possible. All you need is a couple of jars and some rope. The jars can be hung anywhere on hooks or the old fashioned nail in the wall. You can make this beautiful rustic table top herb garden form pallet wood and get a cool centerpiece at the same time. It will add a nice decor accent in the kitchen and allow you to grow fresh herbs with easy access for cooking. Check out the tutorial to see how to do it exactly. Here’s another way to hang planers for you. You can use it for your houseplants or to create your herb garden, either way it’s a beautiful addition to your home decor. The tutorial will show you how to do it the easy way. How do you like the idea of an indoor trellis for your herb garden? If you have free wall space this can be a great replacement for wall art and what a great way to grow plants it is. See the tutorial for how to build it the easy way. This DIY project will take some effort but what a great way to create a herb garden it is. Not only it provides lots of sunlight for your plants, it decorates your window in a creative whimsical way. Check out the tutorial if you’re up for the challenge. If you want to get some extra decor value from your planters, you have to get creative with making them. 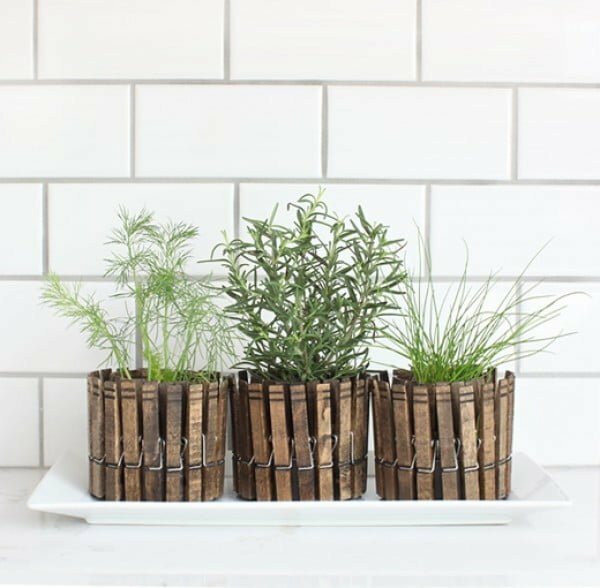 This idea is simply brilliant as it uses wooden clothespins to make little rustic planters, perfect for growing herbs. The tutorial is in Italian but you can easily follow it nevertheless. These planters are perfect if you’re traveling a lot and you can’t always water your plants on time. The simple contraption made of mason jars and wine bottles allows the plants to draw water through a string. It will work perfectly to grow herbs without having to worry about watering them as well. Check out the simple tutorial for more details. Window is the perfect place to grow herbs because there’s enough sunlight and it’s easy to access them. Not to mention the decor value a small herb garden adds to the window. But there isn’t always enough window sill space to use. This small DIY project shows us how to make a floating planter from PVC pipe. It’s a brilliant solution and you can follow the tutorial to build it yourself. For a quick and easy herb garden you can use an old wooden toolbox. If you can find one in a flea market or a thrift store, a lovely rustic home decor accent is guaranteed. Check out the tutorial for the full story about how this herb garden was built.